A couple photos from Sunday night’s Roky Erickson show at Maxwell’s in Hoboken NJ. 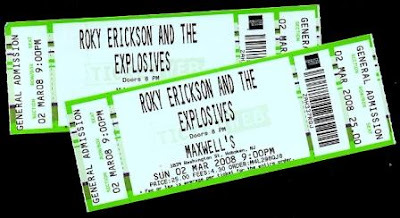 Roky and his band The Explosions blistered through a set of songs that made him the legend he is today. Opening with A Cold Night For Alligators and tearing through a set of his classics like You’re Gonna Miss Me, Bermuda,Two Headed Dog , Starry Eyes and more.